We are variety seekers when it comes to food. Orzo was a pleasant discovery two years back surfing the aisles in a superstore. Its is a rice shaped pasta with varied uses. 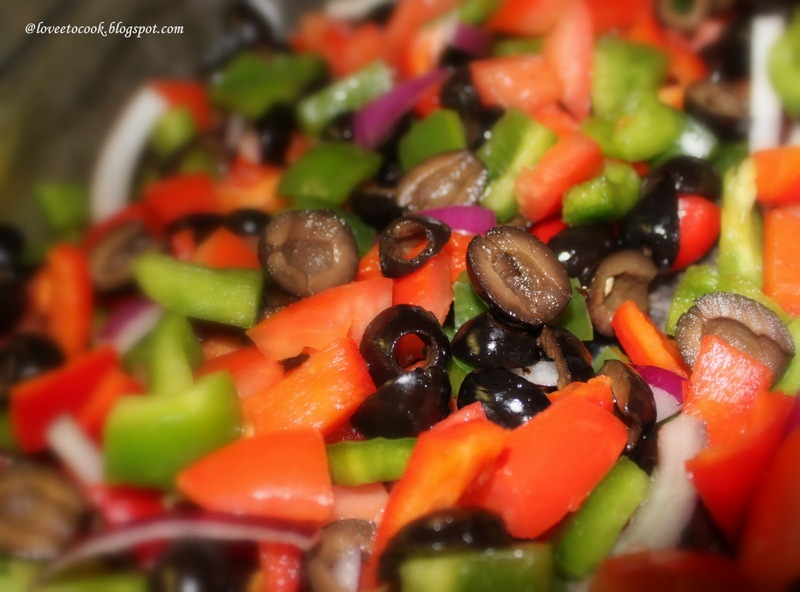 This particular recipe is a warm salad and a light meal in one. To start , boil loads of water with salt . 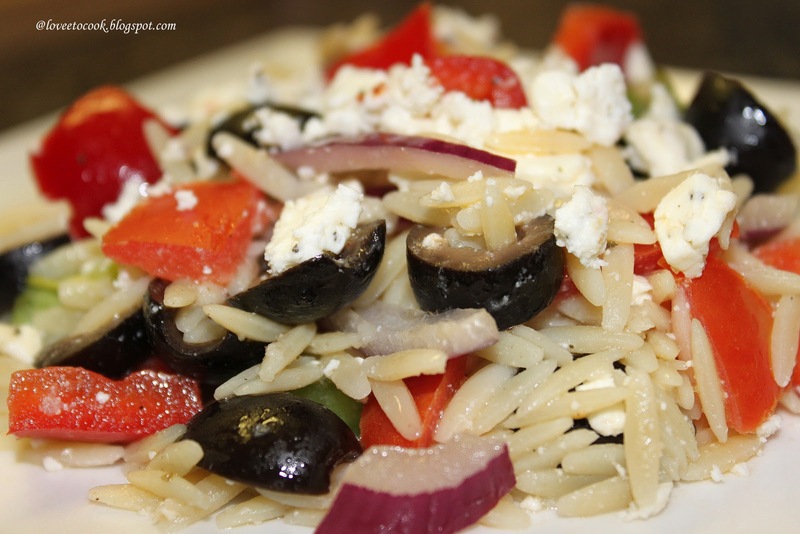 Add the orzo and cook till al dente. In the meantime, dice and slice all the vegatables for the salad and place in a salad bowl. For the vinaigrette- pour the oil in a mixing bowl, add grated garlic , salt and pepper. 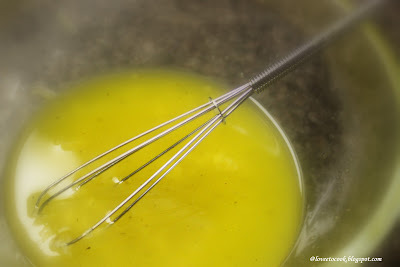 Squeeze the juice of half a lemon, add and whisk . The lemon juice helps in emulsification. 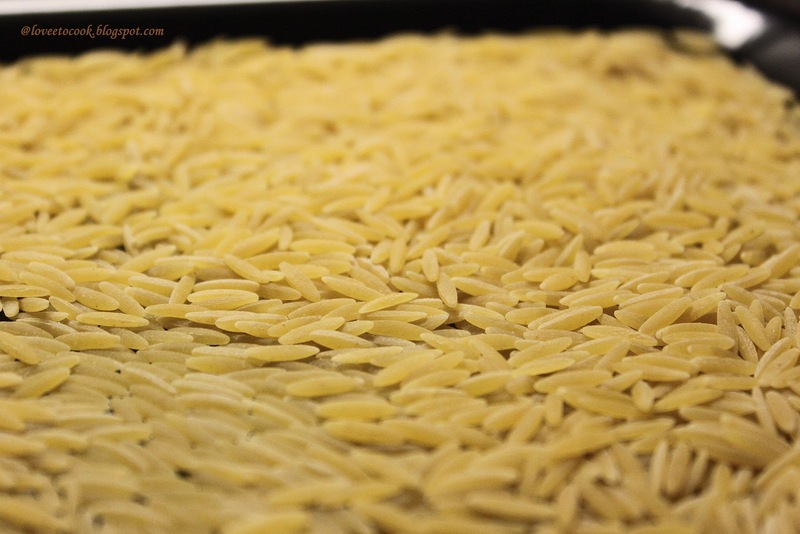 Once the pasta is done , strain and rinse it quickly under normal water. Let it strain again . Now add the warm pasta to the diced vegetables in the salad bowl . Pour the vinaigrette over and mix lightly. Crumble feta over the salad . Toss. Serve when the pasta is still warm or otherwise at room temperature. You'll simply love it for dinner lunch or brunch !! 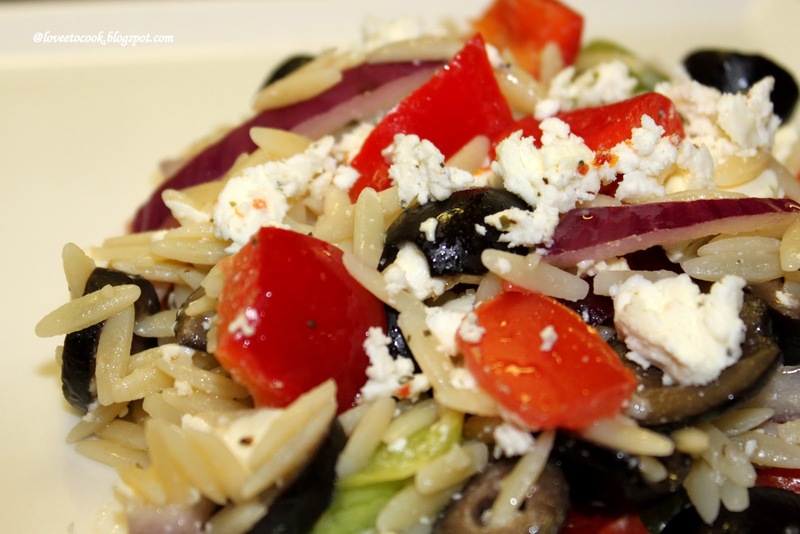 first time to ur blog ...u r having a beautiful space here with yummy recipes ...this orzo looks delicious ,healthy n delicious salad ..must try it..glad to visit u ..
thanks satya. loved ur phulka recipe , even the bread swirls look so versatile..